The official website for Mob Psycho 100 TV anime has revealed on Thursday that the series will get a special screening. 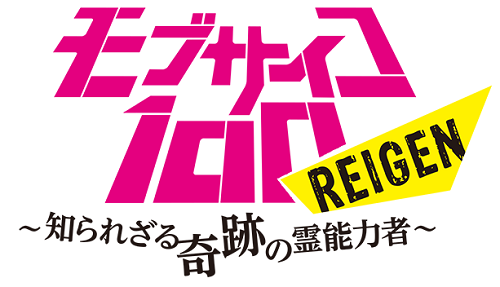 Titled Reigen: Shirarezaru Kiseki no Reinouryousha (Reigen: The Miracle Psychic that Nobody Knows), it will be a recap of the TV series with new scenes, centering on Arataka Reigen. The special screening will be held at Maihama Ampitheater on March 18, 2018 with Setsuo Itou (Shigeo Kageyama), Takahiro Sakurai (Arataka Reigen), Akio Ootsuka (Ekubo), Yoshitsugu Matsuoka (Teruki Hanazawa), Miyu Irino (Ritsu Kageyama), and MOB CHOIR (Opening Theme Song Performer) guest appearing for a talk show. Mob Psycho 100 began its serialization via Ura Sunday manga app. in April 2012. It currently has 15 compiled physical volumes in print, with the latest released on Thursday, which also included the announcement. The series won the 62nd Shougakukan Manga Award in the shounen category. Studio Bones animated the web manga into a 12-episode TV anime, which aired in Summer 2016. A live-action drama of the series is also in production, along with a stage play adaptation with Setsuo Itou reprising his role of Shigeo Kageyama. Any chance of S2 announcement happening at the end of this event ? Live-action TV series, now a recap screening......I'll hold out hope that if there's any more announcements, it'll be for a second season. I'm no special story or anything. I'm just a manga that wants to be read, like you could find anywhere. But, if, for argument's sake, you were to adapt me into an anime series, it would certainly be....a tragedy. I'm pretty sure they plan on announcing S2 after the recap. "At some point, I stopped hoping." All this MP100 news and no s2 announcement. Better be getting 2 cours by the end of it. "If taking responsibility for a mistake that cannot be undone means death, it's not that hard to die. At least, not as hard as to live on." a stage play adaptation with Setsuo Itou reprising his role of Shigeo Kageyama. Additional cast members announced few hours after its initial announcement. I mean S2 and an OVA are already pending for approval, where's the news? Both dbs of season 2 and OVA were added by the users (not approved yet / not checked by anime mods. yet) because of the leak of the announcement on vol.15 released on Thursday with not much information. Some fans (users here) were so in rushed and thought the anime projects were either season 2 or OVA that both exists for "pending for approval". @tsubasalover Thanks for the info! And the lack of info. Didn't know users could just add series to the site like that. Wasn't season 2 confirmed? Tulmbr had a screenshot of Crunchyroll twitter account announcing that there is a season 2 announced, but maybe it's not real, I dunno. Help the industry and buy Blu-rays and DVD's. Noragami is the best anime ever. Need that s2 please. We already got opm 2 now we need this. Maybe they'll announce season 2 at that event. I've heard good things about this series. I may have to check it out now. The special screening has been announced to be an hour long with ~20 minutes of new content (equivalent to one new TV anime episode). Slow news reports? Don't worry, we know a scoop fast enough, but due to strict guidelines, we require confirmation from multiple independent sources. Very nice. Crazy excited about this. Especially now that the manga has wrapped and ONE announced on his blog there would be another announcement regarding the series after the last chapter was posted. Stars are aligning.